Originally crafted for those households that need hardwearing flooring, the carpet tile has been a reliable flooring option for over 50 years, and has now proven itself to be the best carpet choice for offices. There are many advantages of opting for the carpet tile over the traditional broadloom when it comes to carpeting the floor in your office, so the team here at Brent Carpets have drawn up a list of benefits that highlight exactly why the carpet tile is such a fantastic office flooring option for your workplace! Due to the high resilience of the carpet tile, they are ideal for any areas or rooms that receive a lot of foot traffic, such as an office. Other carpets can wear easily and fade where they have received a lot of use, however the carpet tile will retain its original appearance due to its durability. Everyday dust and dirt can soon become trapped in the carpet, so the best way to manage this is to vacuum regularly. 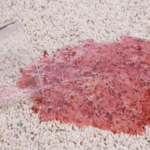 Any liquid spillages can soon be absorbed by gently pressing down a thick cloth over the spillage or scrubbing with a mild detergent solution. The beauty of the carpet tile is that if an area becomes permanently damaged beyond repair, that one individual tile can simply be replaced without any interruption of the rest of the carpet or the wider office environment! Due to the nature of their small shapes, carpet tiles can easily fit into rooms that might be awkward shapes, so there is no room or space in an office that a carpet tile will not be able to reach. 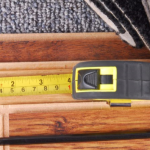 With a strong backing, carpet tiles don’t require any underlay. 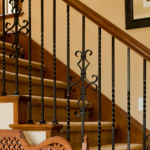 This saves you time and money, making the installation a lot easier and giving you the option to do it yourself. As mentioned previously, single tiles can be replaced as and when they need to be rather than incurring hefty replacement costs for the whole carpet. With more colours and patterns now available, you can choose something that reflects the corporate identity of your business and match the surrounding décor. A typical, average office space floored with standard carpet tiles creates less than 4% waste, whereas the same area covered in a broadloom carpet results in more than 13% waste material. Not only does this save the environment with less waste being sent to landfills, but it also saves you time and money. If you’d like to find out more about commercial flooring for your business from an experienced and trustworthy company, then please feel free to get in touch with us here at Brent Carpets. 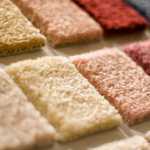 Whether you’re interested in carpet tiles or would like to discuss other options, our friendly team are obliged to help.